December is a very important month, it is not only the last month of the year, but the month that we celebrate the birth of Jesus. It is the tradition that started a long time ago and here to stay. It is time to get in touch, time to catch up, time to give and time to share. We all like to celebrate Christmas with festivity. 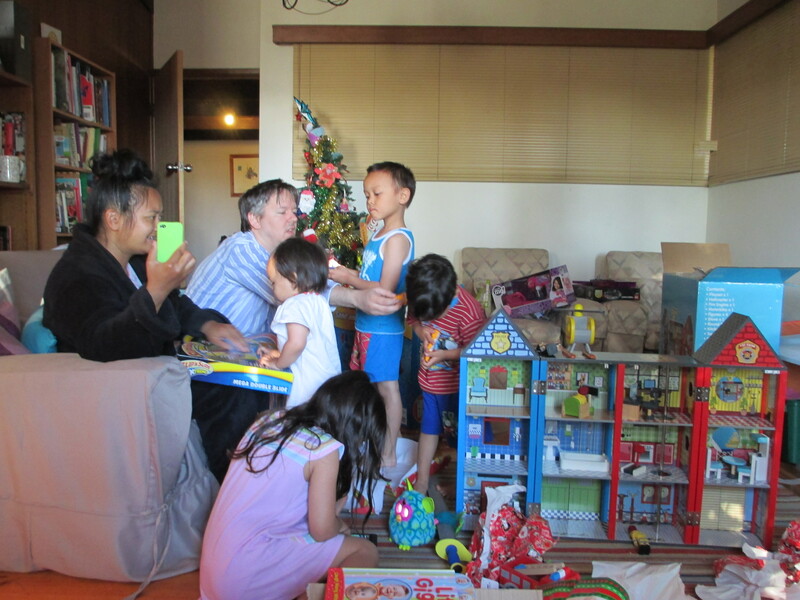 We had a lovely Christmas, we celebrated Christmas in Melbourne with our children and grandchildren. We missed Jane and her family as they live in the Netherlands. We spoke to her via Face Time, and we learnt that she had a great Christmas with the family, Milo her son and Edwin the husband. They had family get together at her sister-in-law’s, and it was a great family gathering, and feasting. We all had a happy Christmas 2013. 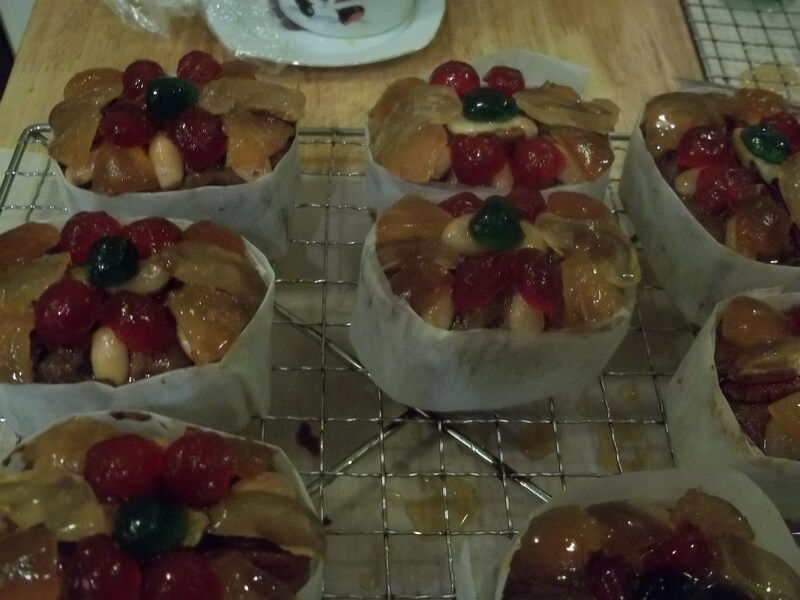 For me, my preparation of the Christmas was good, I baked fruit cake, a batch of light fruit cake for a change, but I divided into small cakes as I wanted to share with friends. 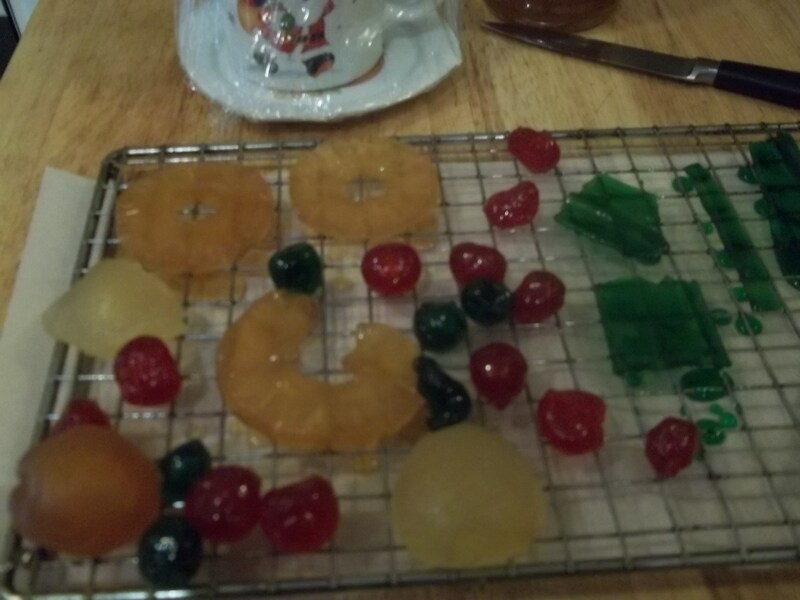 It was a joy for me, to think of friends while I was baking the mini fruit cakes. Rayner helped to chop the dried fruits and nuts. It went well and the luxurious fruit cakes looked so beautiful. 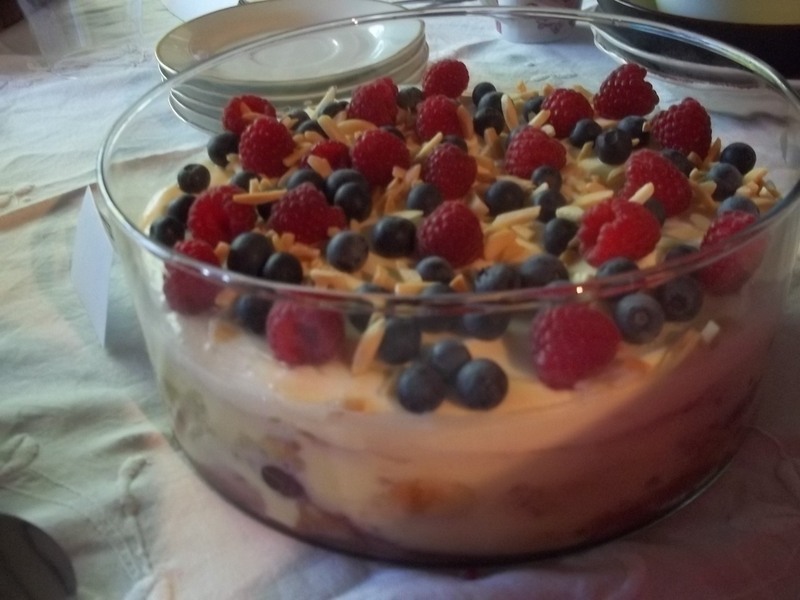 The fruit cake was dressed in brandy, rum and sherry and topped up with colourful glaze fruits. The Mini Fruit Cakes were Dressed, they looked so festive. 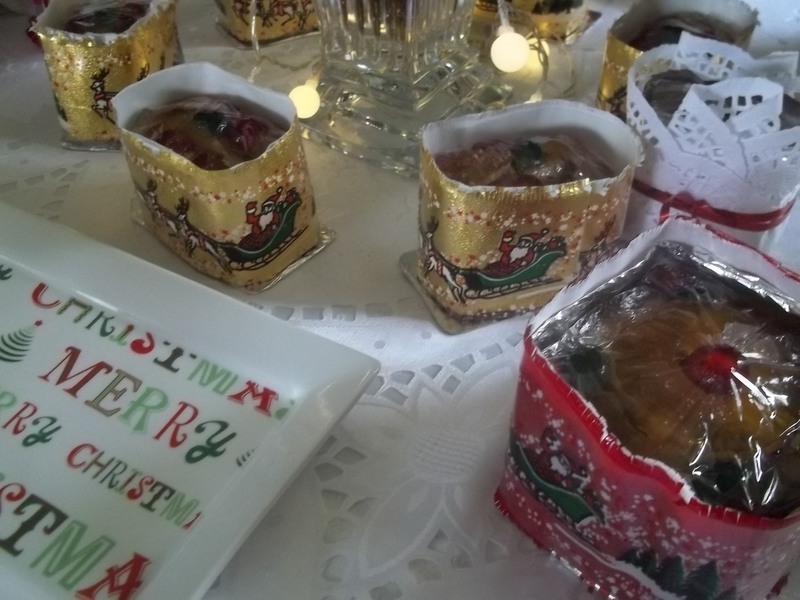 Mini Fruit Cakes were Dressed with Gold and Red. 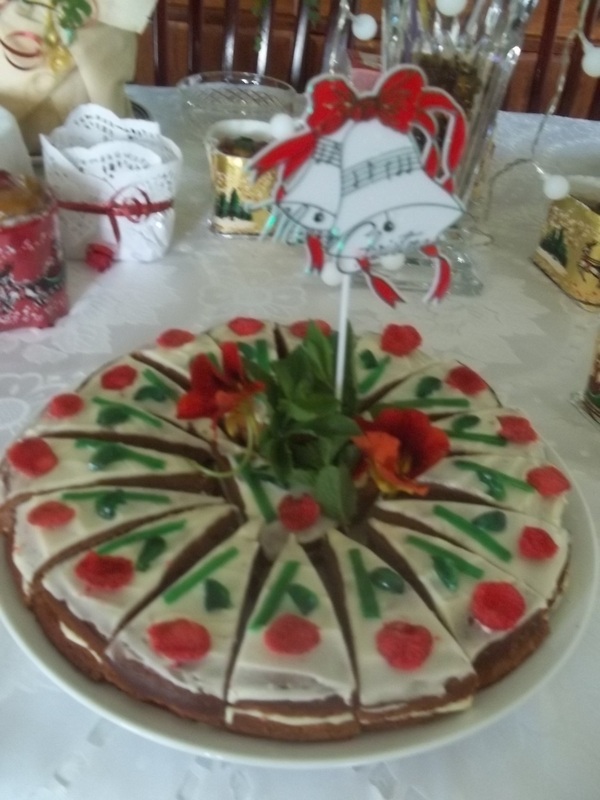 A special cake was born, it was the festive sponge rose cake with liquor. 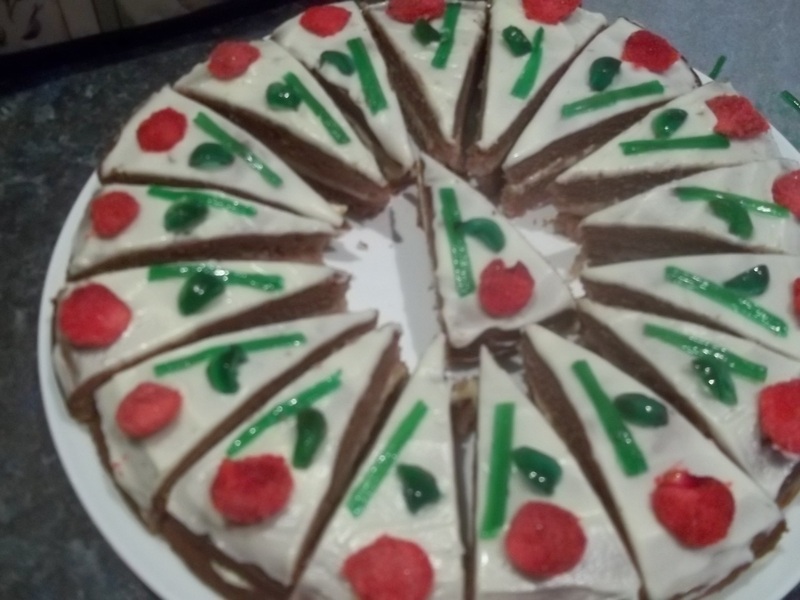 A cake for the festive season, the rose sponge cake was shared at our sport club for the Christmas break up. People loved it. 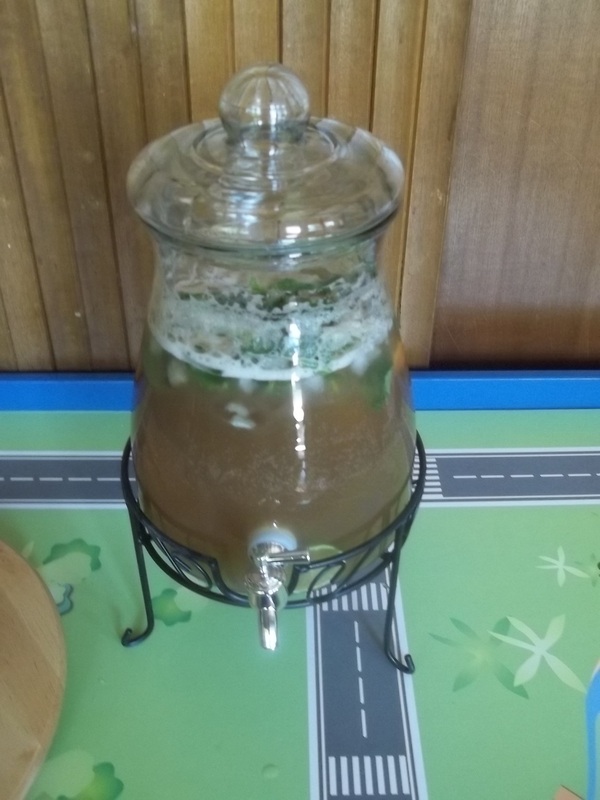 Dressing up the rose sponge cake with liquor. 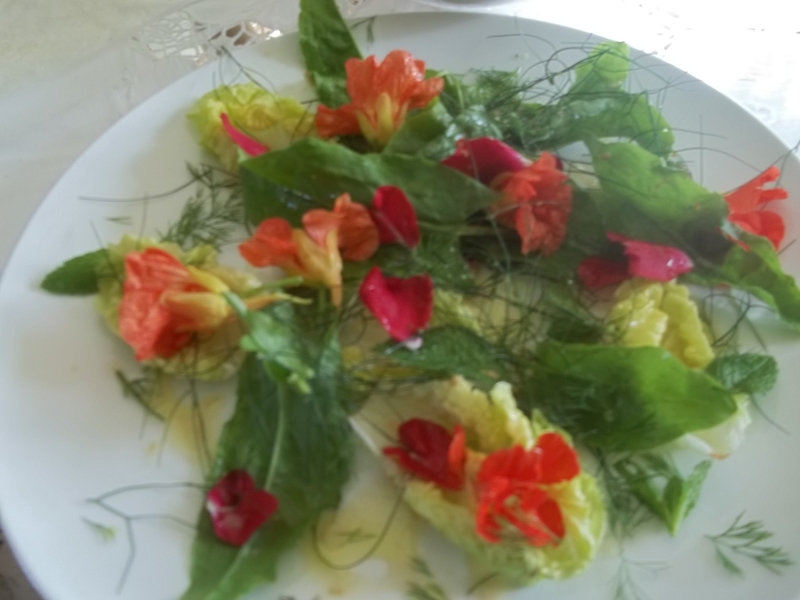 It was fun to prepared the sugared rose petals, and glace angelica, more so they were from my garden, the sacred garden. Because of the care, respect and dedication, the garden is always the place to be honoured. 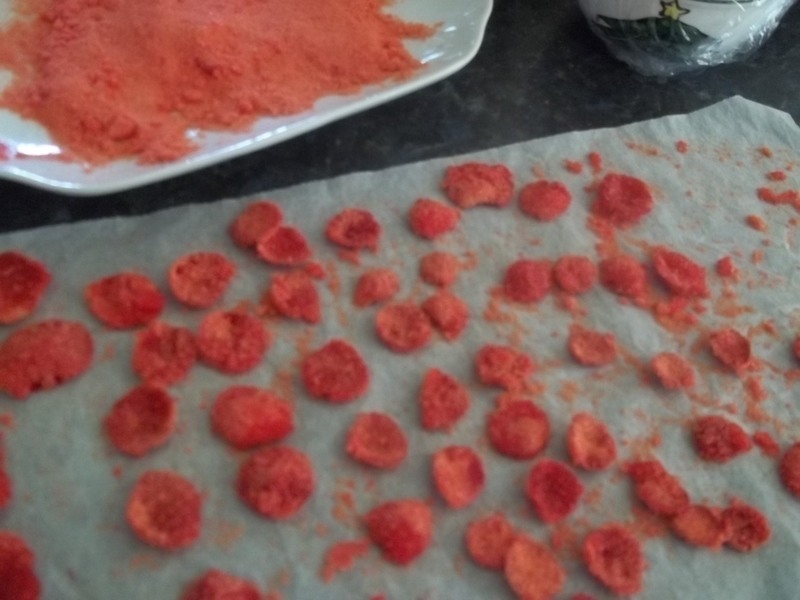 Preparation of the rose petal: wash any colour of roses. Have a cup of castor sugar and one lightly beaten egg white and cooking brush. Other things that you need are a clean and dry place, a few pieces of baking paper and a tray. 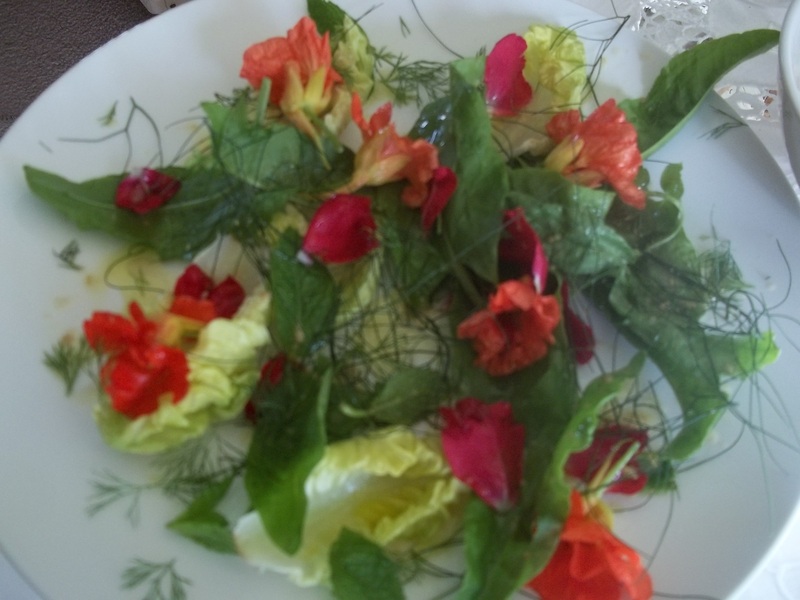 From my garden, a festive Christmas Salads were served during the festive seasons, they were fresh, colourful and delightful. I don’t emphasise Christmas gifts so much, but giving and sharing I do well. It does not need to be extravagant but a gift with love is more important. 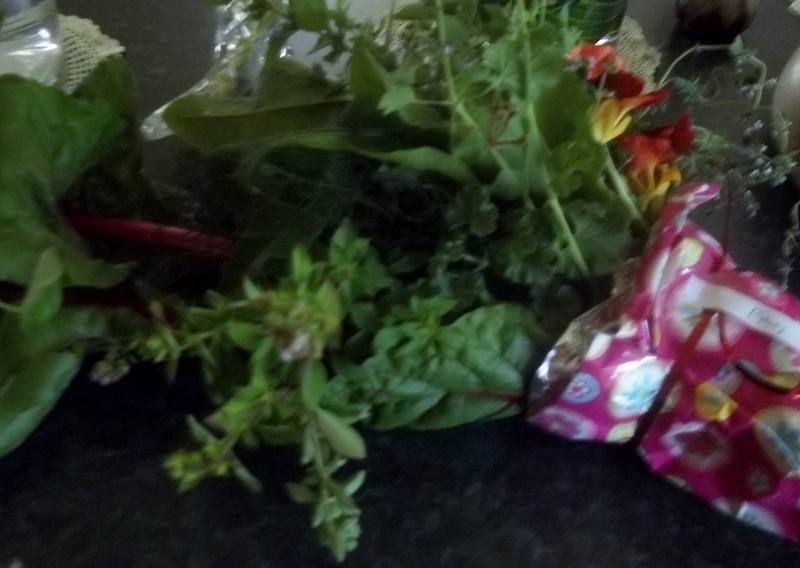 The gifts from me were my baking and fresh flowers or herbs from my garden. For the past few years also I have not hosted the Christmas Dinner, instead we went to our daughters’ places. We had a good family get together this year at Mel’s, It was a very casual but it was fun, specially to be with the grand kids. Mary Rose set up the table beautifully, she did it by herself and she is only eight years old. Well done Mary. 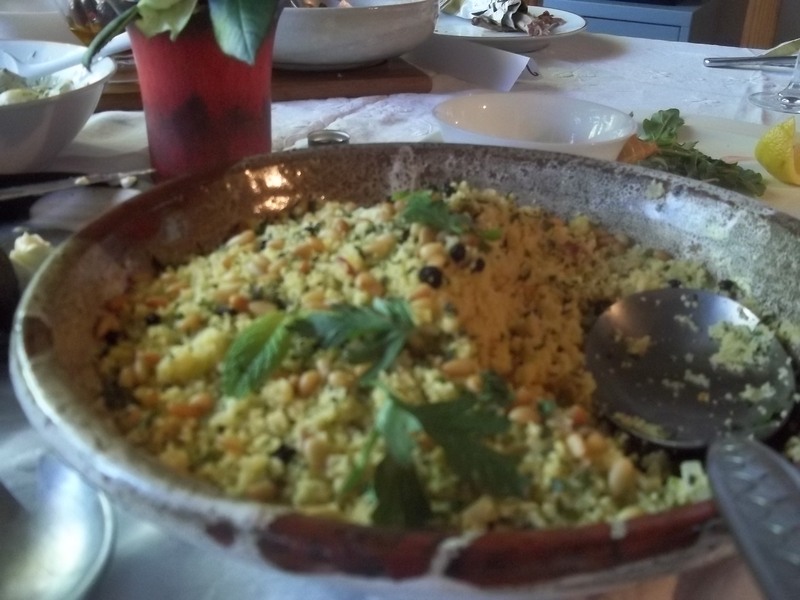 Melanie put on gourmet BBQ prawns, calamaris, lamb and chicken, she also served salads-cous cous with saffron, avocado with roasted walnuts, and yellow and red tomato. 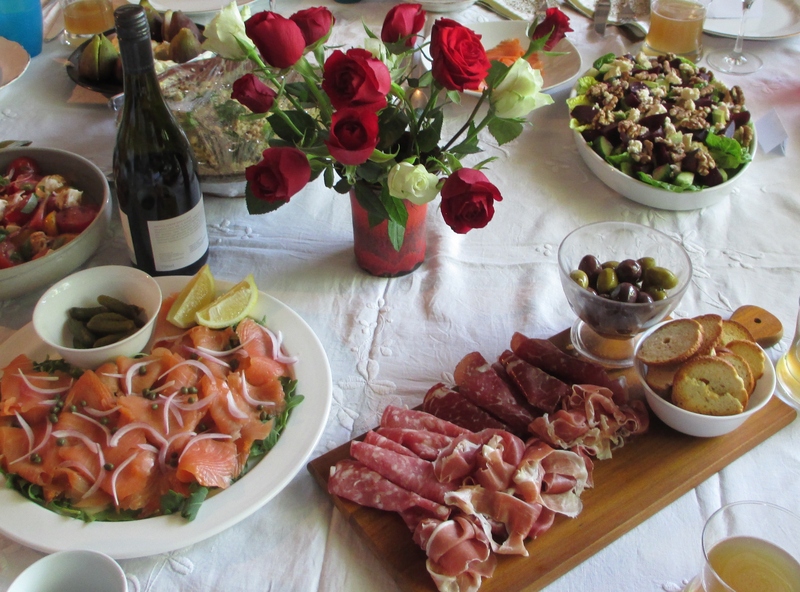 She served smoked salmon as well as her children love them so much. 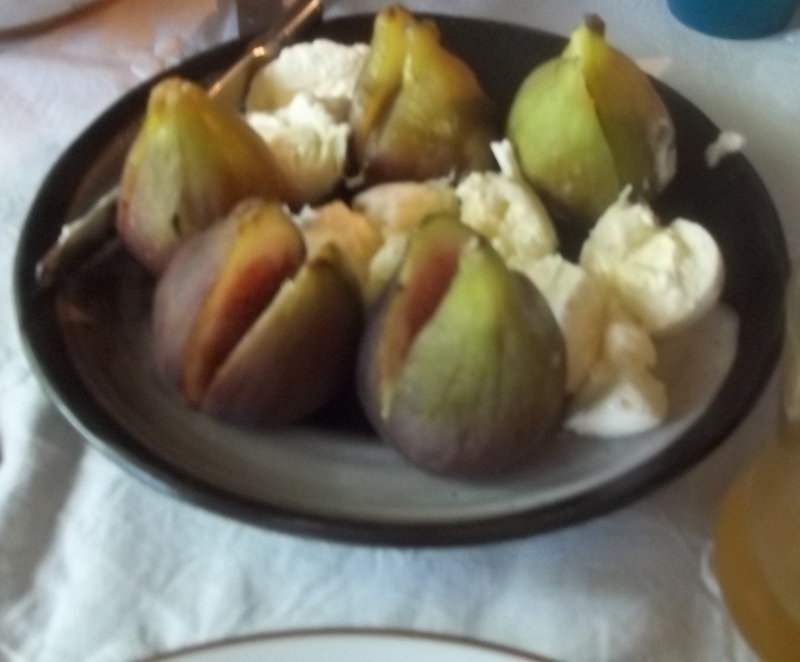 Susan, my youngest daughter, prepared the antipasto, fig and cheese, potato salad and Trifle. Both girls did a great job, and I know that all beautiful dishes were prepared with a lot of love and care. I enjoyed every single moments, we were guests of honour, we were there to be served and relaxed. I appreciate my family and am very thankful. Prior the Christmas dinner we had a scrumptious dinner at Susan’s place, delicious food, good company and fine wine also beer, thanks Sue and Tris. Now is the last week of the season, and we have reasons to keep on feasting. We went to the Christmas Eve, the Mass for the family and children. 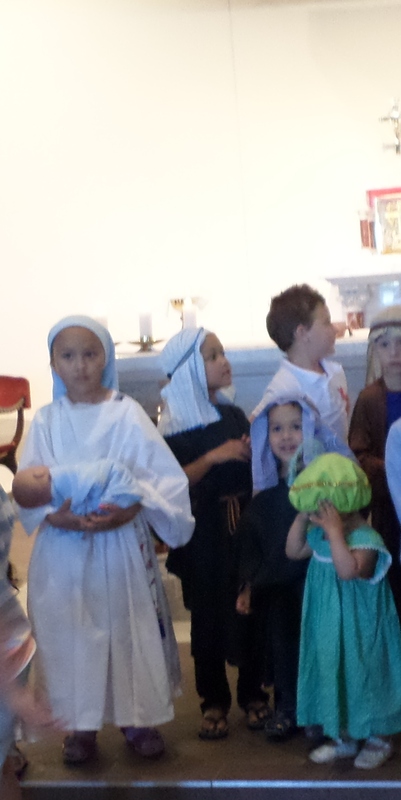 Our grand kids were dressed up in nativity theme, Thomas and Henry were as shepherds, and Mary Rose was as Mary. 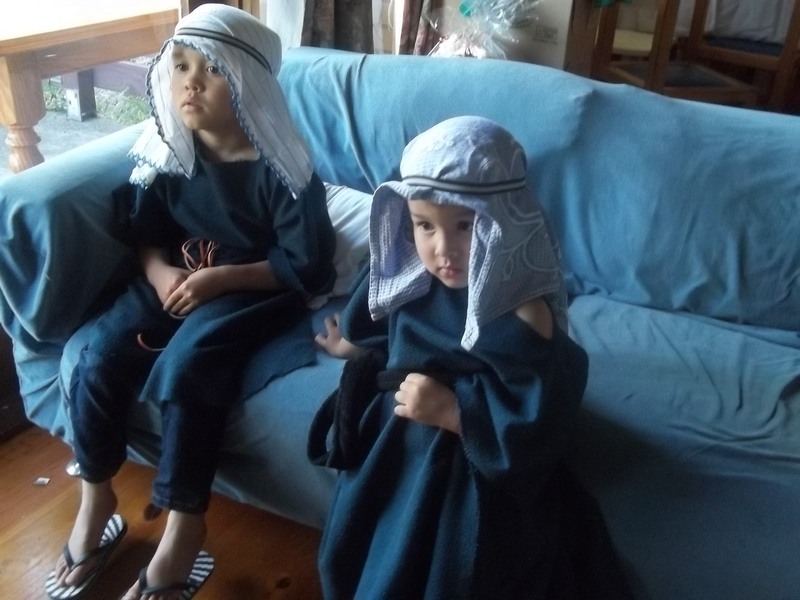 They were so proud about it, well done Mel for making the costumes. Mary, the sephards, Lily and others. There were a lot of people in the Church, a large Mass attendance that evening. 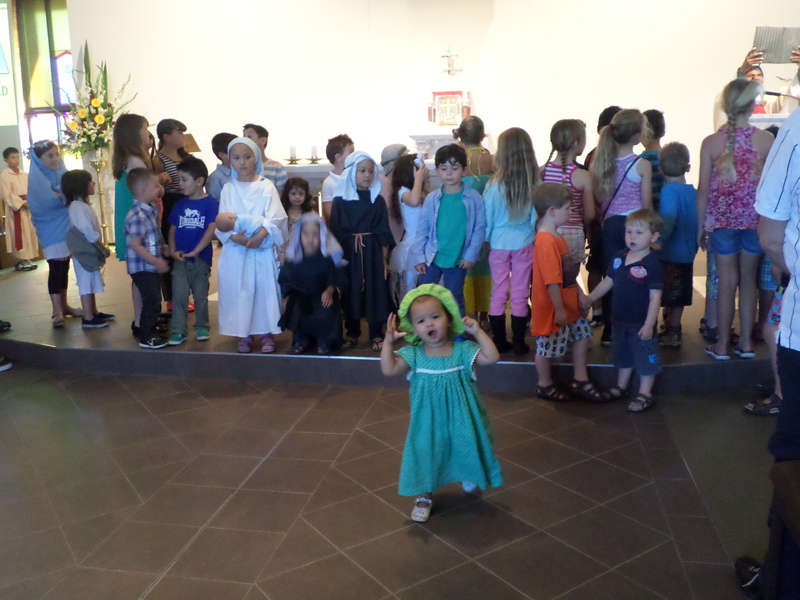 As always the children were a little restless as the service was too long. Mary and Henry often ran away out side. But in all it was good. 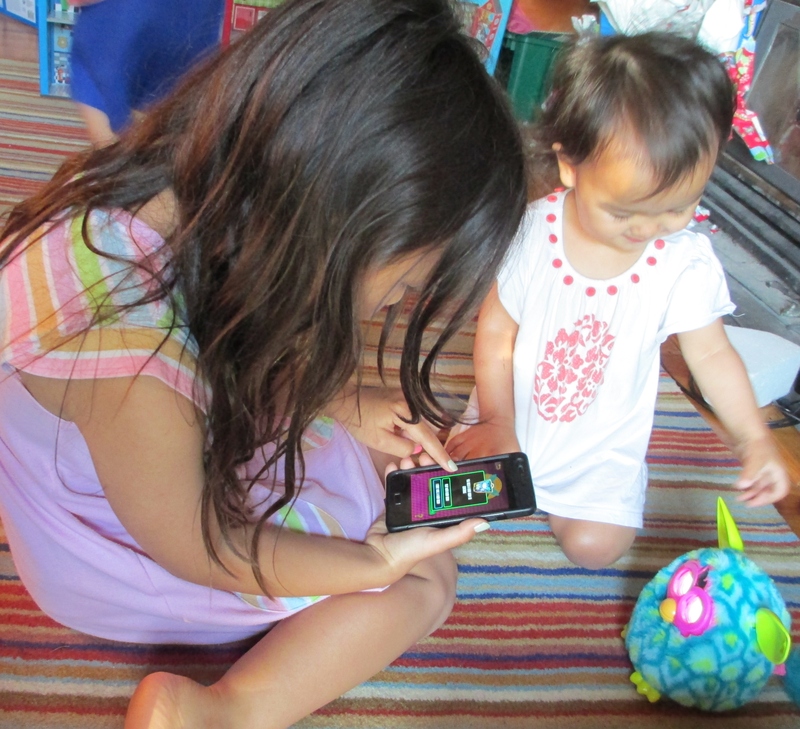 The grand kids woke up very early, they were so eager to open the presents. Mary Rose, Thomas and Henry were very excited to get the present that they asked for and Lily was so happy with her presents, but mainly she was happy to participate or was just being there with the excitement. They all were happy to get surprise gifts too. 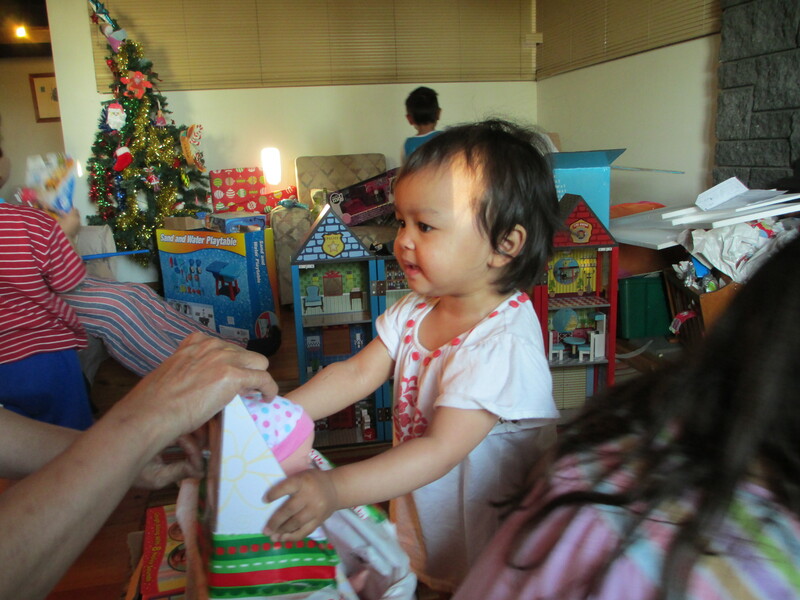 That was a happy Christmas morning with Melanie and her family. I am glad that we were there to see them. 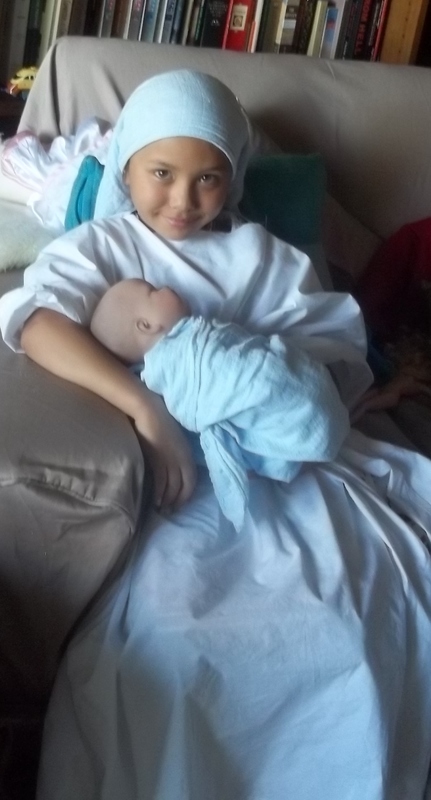 It reminded me of our rituals in the Christmas morning, giving and receiving gifts when the girls were small. Now they have their own, and they like to continue the tradition. Well at least Melanie does. This season, we all think of family, friends and others. Giving, cooking and feasting not only to celebrate the birth of baby Jesus, but together we celebrate ourselves for the joy of being born. We are loved by God and We love God. We had a joyful and happy Christmas, and I hope you had too.